Only two days to the launch of Windows 10 and the operating system keeps getting more updates and bug fixes. – Can’t make up your mind? Here are the top 5 reasons why you should update to Windows 10! Microsoft has now released another security update to the Windows Insider program members who are using the Windows 10 build 10240. This latest update carries the support number KB3074683 but no other details are shared. Windows 10 received another update just yesterday; today’s update adds in some more security fixes to the latest operating system by Microsoft. As the Windows 10 launch nears, we are seeing an increasing number of updates hitting the Insiders’ PCs as Microsoft makes the OS ready for the public launch. Microsoft also released a tool earlier today to help users hide or block automatic updates. Before that Microsoft made update installation an automatic process, however, some latest updates released to Windows 10 insider builds created crashes in some cases. After many reports by users, Microsoft has now enabled users to block some of the updates that are released to users. This will work even after the operating system is released to the public so that users could opt out of automatic updates that may create problems for some specific configurations. 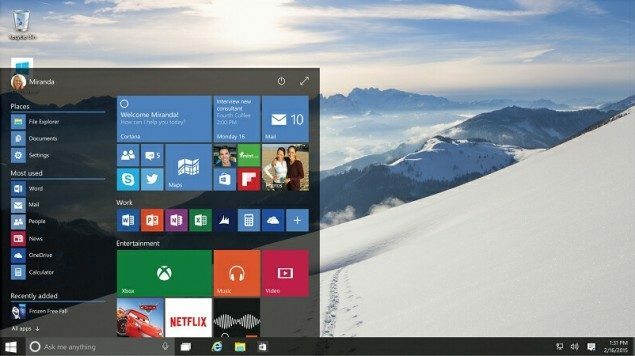 Microsoft is releasing Windows 10 this week, on July 29. Stay tuned to our coverage as we make sure to help you with the process of keeping your machines up to date with the very latest Windows operating system.